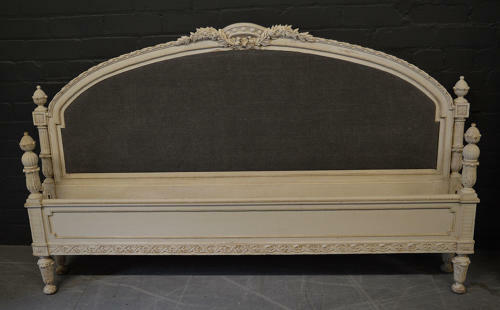 Original painted finish on the ornate hand carved beech frame, unusually low head board. If the full width of the frame is used a super king size mattress would fit (6' x 6'6"), but as the head board is low the mattress would cover half of the upholstered area. As the mattress would not be able to sit down inside the frame.